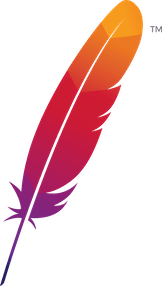 Introducing the HADDOCK template, a new template and user interface for Apache JSPWiki, introduced as of v2.10.1. Haddock features a clean, modern look and feel which builds upon the Bootstrap framework . It has a responsive design, allowing wiki pages to render well on a variety of devices and window or screen sizes. The template supports many new styles, including video viewers, a new slimbox, a carousel viewer, support for adding inline css, and much more. It also comes with a new plain and a wysiwyg editor. The template JSP's and other assets are located in <your wiki url>/templates/haddock. The styling of all JSP's is based on CSS, instead of html tables and tabs. CSS3 is used for basic animations. The stylesheet is build on the foundation of the BOOTSTRAP 3.0 CSS Framework . This improves cross-browser compatibility, responsiveness of the design on various platforms, and provides many reusable css building blocks. (see Haddock Styles) Bootstrap is released under the Apache 2 license. The quick search and navigation menu is redesigned to make it easier to create new pages or clone existing pages. The sidebar, aka LeftMenu, has become collapsible. You can toggle it to full screen to view or edit pages. Haddock supports both a fluid and a fixed-width layout, which can be toggled via the UserPreferences. The menubar remains always on top for quick access to the key actions of the page. The attachment upload UI has been redesigned: you can upload multiple files in one go; and use drag & drop if your browser supports it. The styling of weblogs has been improved as well. Live Preview will immediately render the page while editing. The preview area can be displayed side-by-side next to the main editor area. The sidebar is by default collapsed in Edit mode. Suggestion popup dialogs provide assistance while entering wiki markup. Help is available for links, plugins, images, ACLs, %%styles, colors, fonts, symbols, but can easily be extended. Unsaved page edits can be restored, even when your session or login timer expires, or you accidentally close a browser tab without saving. The last changes are saved in the localstorage area of your browser. At the start of a new edit session, you will be presented with a modal dialog to restore the changes. Other features: section editing (zoom in a partical page section during edit), Find & Replace UI, tab completion with snippets (press the TAB key to complete shortcut commands), smart typing pairs, and more. The Haddock Template comes with a light-weight WYSIWYG editor installed. You can add your own WYSIWYG editor to JSPWiki. Hooks are already provided for TinyMCE and CKeditor. WYSIWYG editors also support LivePreview. You can switch between the available editors from the UserPreferences as well as from the Edit view. See Haddock Styles for more details. All dynamic styles adopt the Bootstrap look and feel. The markup for Tabbed Sections has been simplified, while maintaining backwards compatibility with previous markup. Table styles have been improved (%%table-filter, %%sortable) and more Bootstrap table styles are available. Embedding video, or other media has become much easier. The new %%viewer style allows to embed video (like YouTube, and other formats), wiki-pages or external web-content directly into a wikipage. %%slimbox now supports those same media formats. A %%carousel style is added with an auto-rotating viewer. The %%add-css style brings the full power of CSS and CSS3 to your wikipages. The Raw view or Raw: interwiki link will display the raw page markup. The Reader view or Reader: interwiki link (also accessible via the More... menu) will view the page with no clutter : no header (only the pagename), no footer, no sidebar and no menu-bars. This is great view for printing. When in Reader view, clicking the page name on top of the screen will get you back to the default page view. The Haddock template uses following reserved wiki pages, and degrades gracefully if it cannot find the pages. EditPageHelp : add a help button to the Edit page. MoreMenu : extend the standard More... dropdown with your own links. Use * [some link] to add additional menu entries. HomeMenu : add a dropdown menu below the logo, which can be used for showing key general info of the site, system info, etc. Use the same formatting rules as for the MoreMenu. The JS still runs on top of the mootools JS library. With the new modularized design, it is easy to write your own dynamic styles. The monolithic jspwiki.css file has been broken up into many small Less files; many which are reused from the BOOTSTRAP framework. Less is a CSS pre-processor, extending the CSS language with variables, mixins, functions, etc. This makes the jspwiki stylesheets more maintainable, and extendable. At build time, the LESS pre-processor and CSS minimizer are run via the wro4j framework.